Westport has many wonders. One of the most overlooked is the RTM. Our Representative Town Meeting is a throwback to 1600s New England. Every citizen no longer gathers to vote on each expenditure, removing a maple tree from the town green or whether Goody Staples is a witch. Members serve 2-years — and are elected on a non-partisan basis. The entire RTM will be voted on this fall. 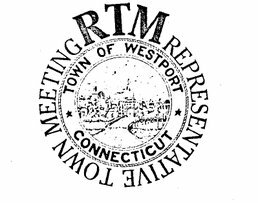 Starting today, anyone interested in running for the RTM can pick up a petition in the town clerk’s office (Town Hall, room 105). Then all you need are 25 signatures from voters in your district. Presto! You’re on the November 7 ballot. Democracy is alive and well in Westport. But it won’t work without you. This entry was posted in Local politics and tagged Westport RTM. Bookmark the permalink. Of what was once the most enviable place to live in America. We are leaving in Droves. Well, she was a witch, Roger Ludlow swore Goody Knapp said so! Gteat post Dan, and amen – get active in the governence of the town you live in! It sure beats simply posting complaints about how the Town is run here. You CAN make a difference. Trust me on this. Of course, just complaining is easier.